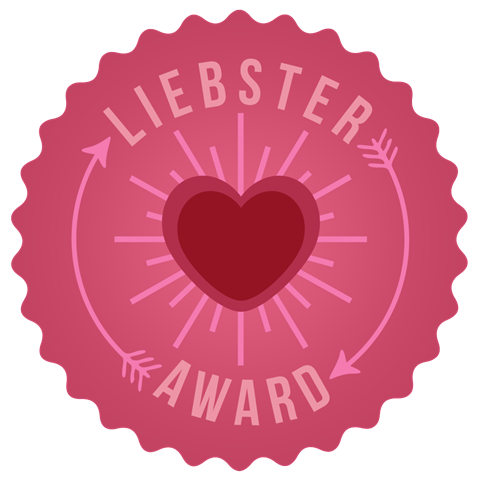 1) Post the Liebster Award graphic on your site. 2) Thank the blogger who nominated your blog. 3) Answer the 10 questions from the post of the person who nominated them. 4) The nominee will nominate 10 other blogs who have less than 200 followers. 5) The nominee will then create 10 questions of their own for their nominated bloggers to answer in their Liebster post. 1) What is your favorite fruit? 2) If you could be any superhero you wanted, who would it be? Black Widow because she’s a baller. 3) What one book could you read over and over again? The Great Gatsby. And trust me, I have. 4) If you could own any exotic animal you wanted, what would it be? 5) Favorite sport to watch on television? I can only tolerate sports when the Olympics are on. With that being said, I don’t mind watching soccer. 7) What 3 things would you like to do before you die? Publish a novel, travel all throughout Europe, have children. 8) If you could move anywhere other than where you live now, where would that place be? Ohhh this is going to be a tough one. I’m caught between Gatsby and Nineteen Eighty-Four because both are timeless and I also find something new no matter how many times I read them. 10) As a kid, what did you always want to be when you grew up? A dolphin trainer or an artist. SURPRISE, PAST ME. 1) What’s your favorite season? Why? 2) How many languages do you know? 5) What’s your favorite quote and where does it come from? 6) What’s your most irrational fear? 7) How do you feel about rain? 8) Tell me one short-term goal and one long-term goal. 9) If you could invite any three people to dinner, living or dead, who would they be? 10) Favorite time of day? Feel free to answer these!